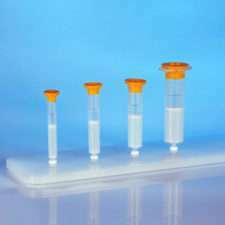 Gel filtration column for purification and desalting of proteins larger than 5 kD. 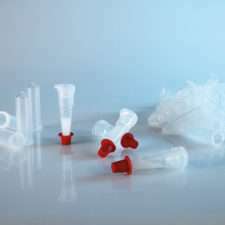 Processes sample volumes of 2.5 mL. 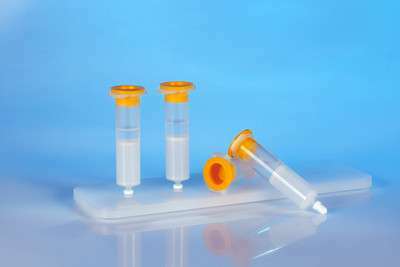 CentriPure P25 Gel Filtration Columns are designed for rapid desalting and efficient removal of small molecules (dyes, salts, buffers, biotin, haptens, etc.) 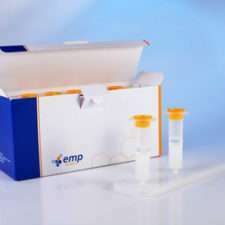 from proteins in a sample volume of 2.5 mL. The gel matrix in CentriPure P25 is Zetadex-25, a size-exclusion gel with an effective pore size of about 5 kD. 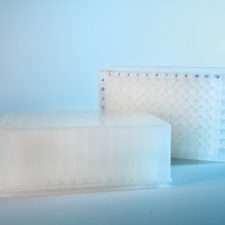 Molecules larger than the pores are excluded from the gel, remain in the void volume, rapidly pass through the column, and are eluted free of small molecular weight contaminants.